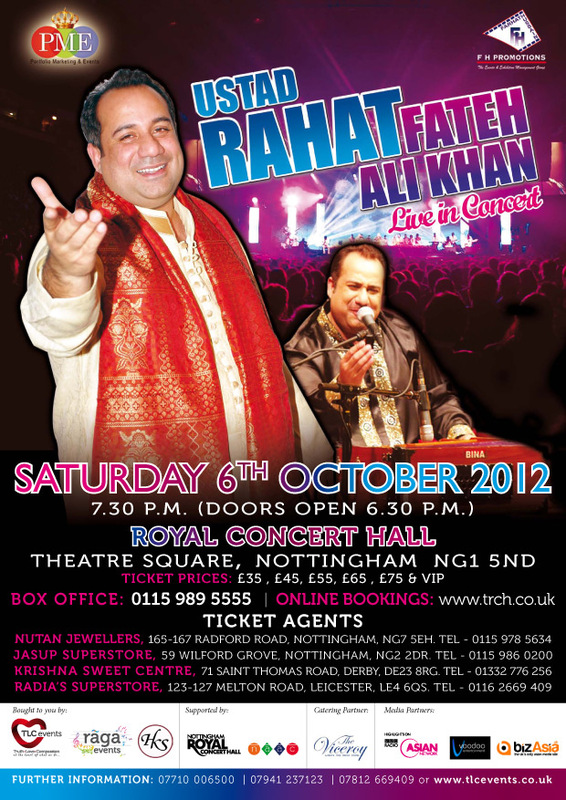 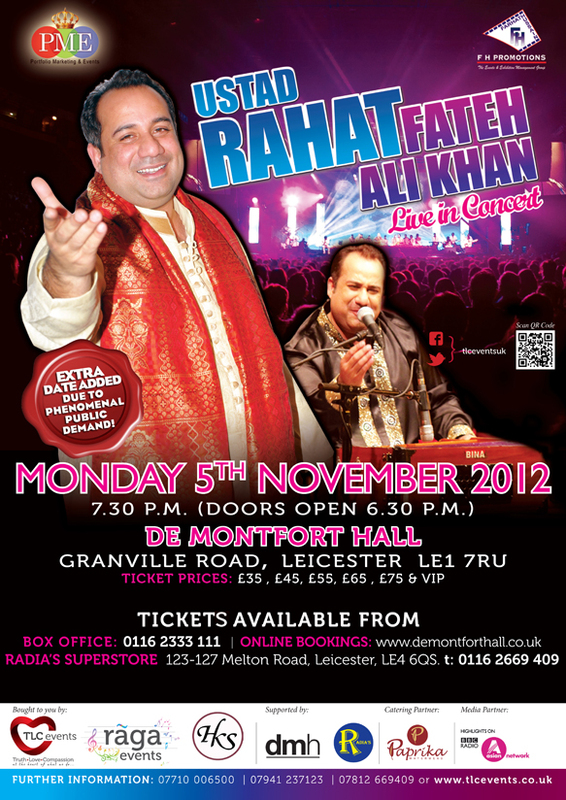 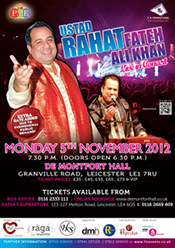 Ustad Rahat Fateh Ali Khan returns to the U.K. with his long established group of 15 musicians and vocalists with a series of live concerts across the country. 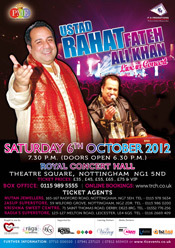 The concerts will feature Ustad Rahat Fateh Ali Khan performing memorable Qawwalis such as ‘Dum Mast Kalandar’ and ‘Akhiyan Udeek Diyaan’ which were immortalized by his uncle the late Ustad Nusrat Fateh Ali Khan as well as recreating his own Bollywood hits such as ‘Dil To Bacha Hai Ji’, ‘Tere Mast Mast Do Nain’ and ‘Teri Meri’. 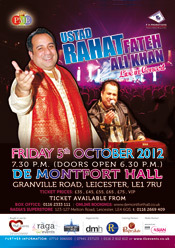 Expect an unforgettable evening as he and his extraordinary ensemble transport us into the rapturous realms of spiritual discovery.